In our online shop you will find a comprehensive range of trophies and medals made of high quality materials. We also offer various awards, sports figures and honorary prizes for various occasions. 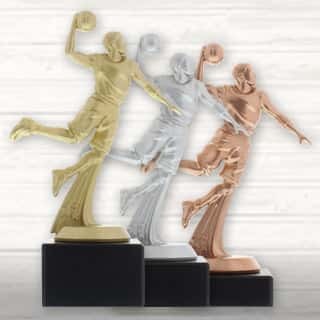 Are you organizing a tournament and looking for trophies as a recognition for sports performance? Or do you just need an unusual gift? Discover honorary prizes and other trophies for various events. 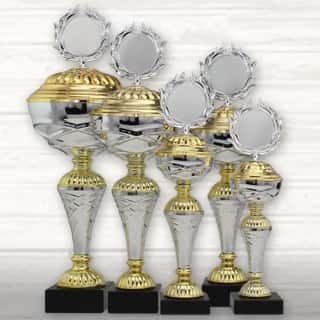 Between medals and winning figures you will surely find something - not for nothing we are one of the leading online shops for all kinds of awards. Helm Pokale is one of Europe's largest online retailers of trophies, medals and awards. 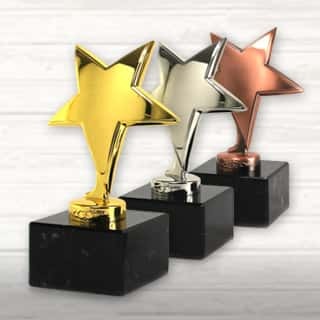 Since the establishment of our trophy shop in 1998 we have been working successfully in the trophy and award industry. 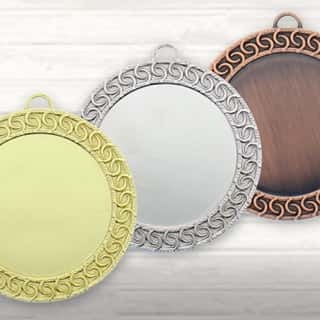 Since the launch of our first online shop in 2001, we have had one goal: to make ordering trophies, medals and all kinds of awards easier, faster and more convenient. Benefit from our extensive range at low prices, regardless of location and shop opening hours. With our simple navigation and intelligent search, you'll quickly find the right award. The selected trophies and medals are then produced, finished and usually dispatched on the same working day. All this without any hidden costs. Engraving is free of charge for all articles that can be engraved (except medals). 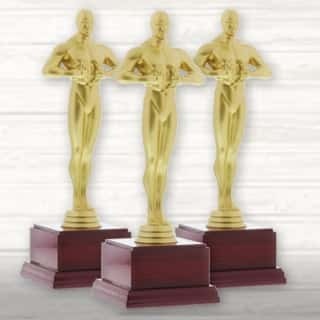 All trophies and awards are delivered ready assembled. Also with medals one of over 450 standard emblems and a cord or ribbon is included free of charge. For many medals we also offer you the option to order them unassembled and to save a few cents by self-assembly. Our fast and reliable shipping is free of shipping costs from only a few Euro value of goods within Germany. Thats how you can recognise a renowned speciality retailer and reliable partner in us. In a retail store it is often difficult to find the right trophies for the event. In most cases the local dealer has to restrict to a limited range of manufacturers and model variants. With us in the online specialist trade, you benefit not only from a very large selection of products. As a manufacturer and importer, we also offer you a large number of exclusive articles. Our 360-degree product views give you a clear picture of our products. Through our own manufacturing and production you profit from favourable prices and fastest delivery times. 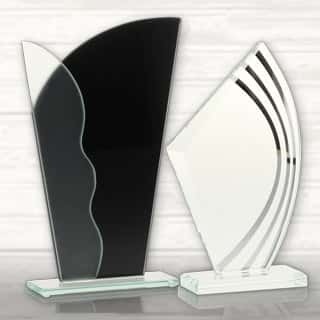 With our own contact and ordering system tailored to the trophy and award industry, we facilitate your purchasing and ensure a smooth process. You also have a large choice of payment methods with us. Pay conveniently later by invoice or choose one of our many other payment methods such as direct debit, PayPal, credit card, Sofort, Amazon Pay or prepayment. We want your order not only to be simple, convenient and fast. The security of your order and your data is just as important! Therefore, we rely on the greatest possible security and transparency. These are confirmed to us by our certification according to the security standard of the credit card industry (PCI DSS tested online shop) and legally tested by the IT law firm. Of course, our online shop and all systems are completely encrypted with the latest SSL certificates. Numerous positive customer opinions confirm the high quality of our products and fast shipping. Trust an excellent supplier - in 2013, the "Awards and Recognition Association" chose us as the winner of the "Best Large Retailer of 2012-2013" competition. In 2011, 2014 and 2018, our online shop www.helm-pokale.de won the APA Award for Best Retailer Web Site, from the Awards and Personalization Association. When buying Trophies, Medals and Awards online, service and counselling must be right. With Helm Pokale the service begins already before the order with our professional and friendly customer service over our free Hotline, by e-mail or live Chat. Even while your order is being processed in our company, your products are being produced and finished, we always keep you up to date. Also after the fast dispatch of your order, we inform you about your parcel and are to you at any time with questions or problems at the disposal. We hope you enjoy browsing and discovering your trophies, medals and awards!